Hi loves! I want to take you back and look at what was posted a year ago. Who knows, maybe you didn't know this site back then, or maybe you just forgotten about the fun things we shared! 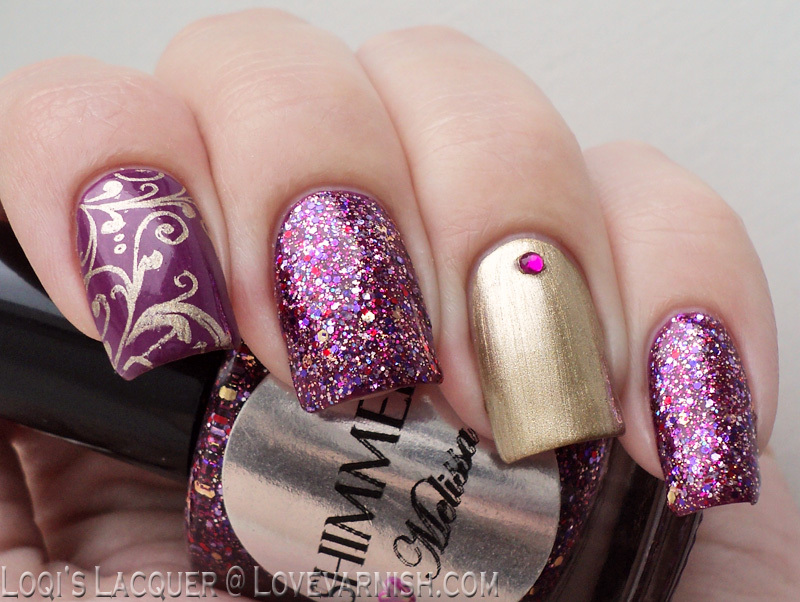 These gorgeous Manon did using Shimmer polishes really were the best. I love how she takes the different glitter colors and runs with it! 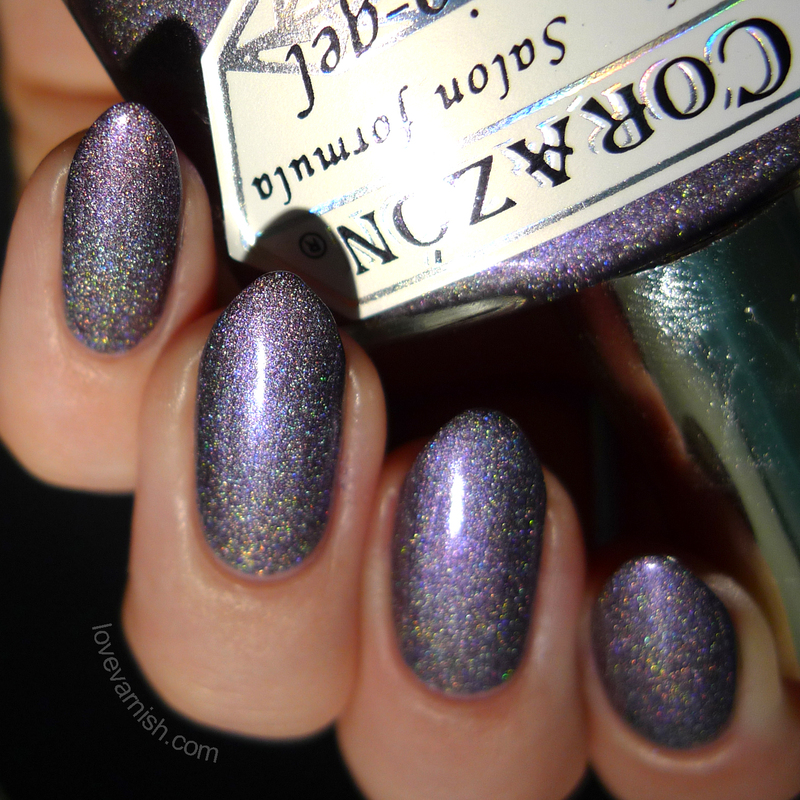 There's another stunning skittle look included in this review! Oh. My. Gosh! I totally forgot about these beautiful holographic shades! Ugh, don't you just hate when that happens? And check the original post for the 5 other stunners! I remember this look so well, I reeeally loved how this ended up looking. I might give it another whirl again soon using Fall colors maybe? Oh no, stranger danger! 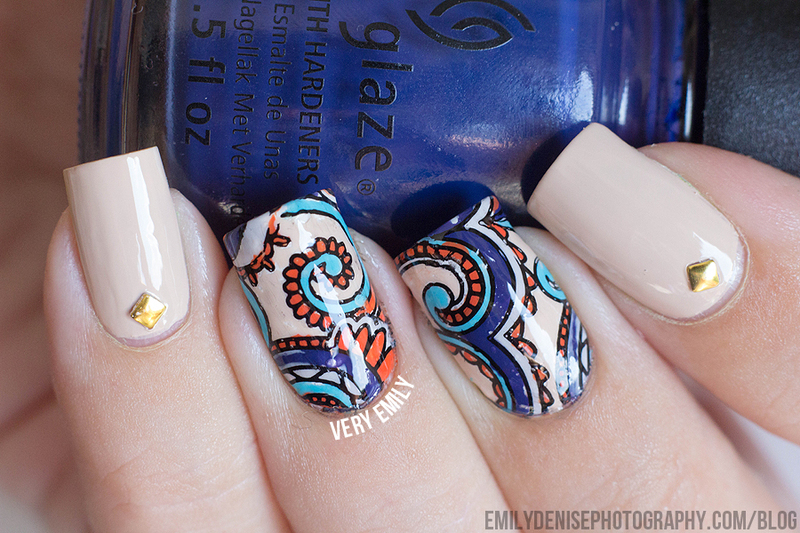 Lol, just kidding, last year my friend Emily did a guestpost for me and created these lovely stamping decals! 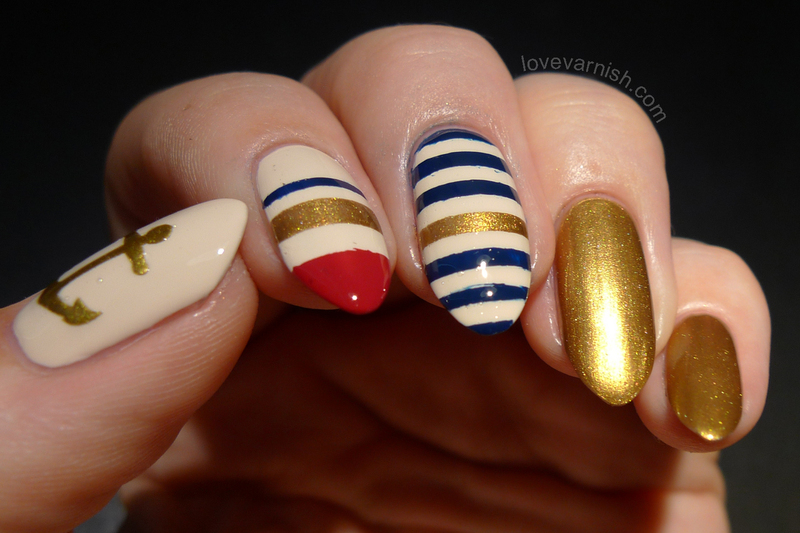 Nautical nails are such a fun style, and they are very easy. Just throw in some gold, blue and red and you are already getting the right vibe! I used vinyls from She Sells Seashells to create this look. Tell me, which one was your favorite post out of these?